After a hard weekend of riding I thought these two deserved a clean. The quick post clean picture got me thinking…. On the surface, these two bikes could hardly be more different. 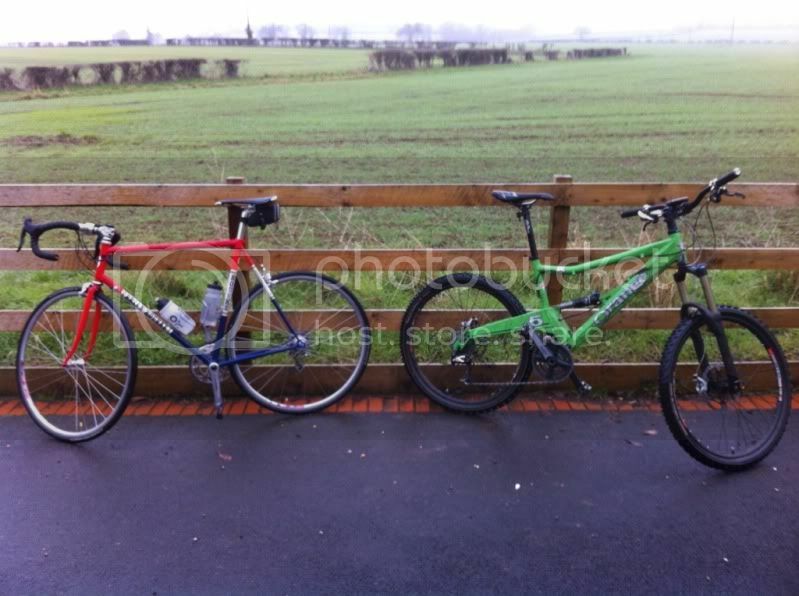 One, the epitome of the modern day XC mountainbike, the other a restored steel framed road bike. The Rourke can and has been ridden across counties, and up Alpine Cols, whereas the Orange really is just about the perfect do it all off road machine. However, once you get beyond the obvious differences, they are surprisingly similar. Both are handmade in the UK by skilled craftsmen, and are full custom builds. I know even the pros ride off the peg stuff nowadays, but to me nothing beats handpicking the components yourself. There’s no others out there the same as either of these two. They’re both absolutely focused on their intended purpose, and perhaps most importantly are a joy to ride. Oh, and I’m lucky enough to own both. I hope you used purple Harry? ?